Training sessions conducted through SPRING/Bangladesh’s Farmer Nutrition Schools helped improve the empowerment status of female participants. In Bangladesh, women are relatively less empowered in comparison to the male members in the household—in most cases, they are not in a position to take part in the household decision making process.Literature suggests that women, more specifically rural women, are less empowered as they are considered to have less potential to contribute to household income. 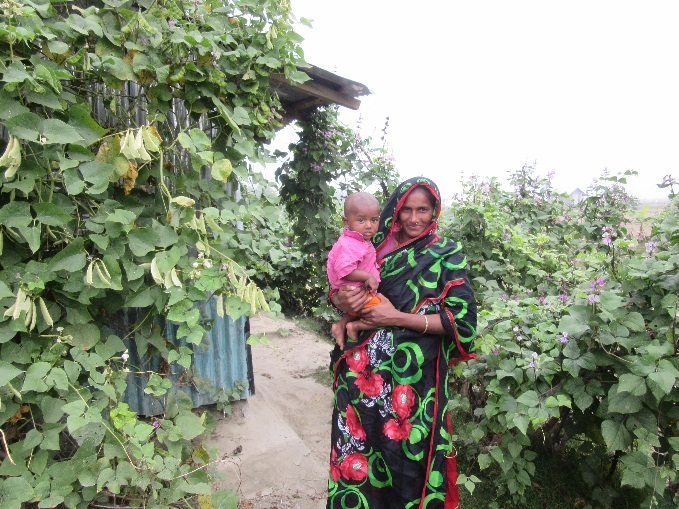 SPRING/Bangladesh has been working since 2012 to address malnutrition along the coastal belt of Bangladesh using interventions designed to address immediate effects of malnutrition, as well as underlying causes like gender inequality. After several years of implementation, SPRING has observed and collected evidence showing that women who have participated in its direct implementation program – its innovative Farmer Nutrition School (FNS) activity – seem more in control of their family’s health and diet, more involved with their husband in making decisions that affect the household, better linked to the government extension system, and much more confident. The Women’s Empowerment in Agriculture Index (WEAI)tool, designed and tested by IFPRI, was used to measure women’s empowerment in a cohort of FNS participants. SPRING/Bangladesh would like to invite you to join us for a discussion on WEAI and our findings from our WEAI research in country through our FNS work. In collaboration with IFPRI’s Bangladesh office, we will have experts on the WEAI tool join us to provide background on this innovative measurement tool and how it has been used. Finally, we will have staff join from SPRING/Bangladesh to talk about their experience with Farmer Nutrition Schools and their first-hand observations of women’s empowerment through our work.